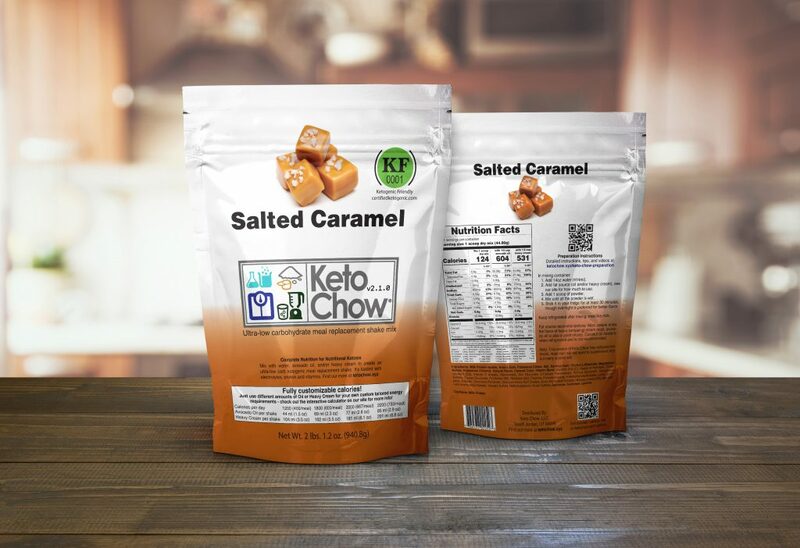 Keto Chow was founded with the goal of making enjoying a high fat, low carb ketogenic diet easier for people. Based in South Jordan, Utah, it’s a relatively small family-run company with a handful of friends shipping out orders across the United States and the world. Because Keto is such a stark departure from the standard American diet, it can be difficult (especially when starting out) to get proper nutrition: getting the right macronutrients, vitamins, and especially electrolytes. It’s perfect for people on the go, or those that need a quick easy solution that won’t compromise their nutrition goals; and it tastes amazing! Keto Chow was designed to be a nutritionally complete ultra-low carb keto meal replacement shake. Most “meal replacement” products are a lightly fortified protein drink, Keto Chow takes this to the next level with at least 1/3 your complete daily nutrients in each shake. No need to worry about getting your potassium, selenium, magnesium, vitamins, or other nutrients. 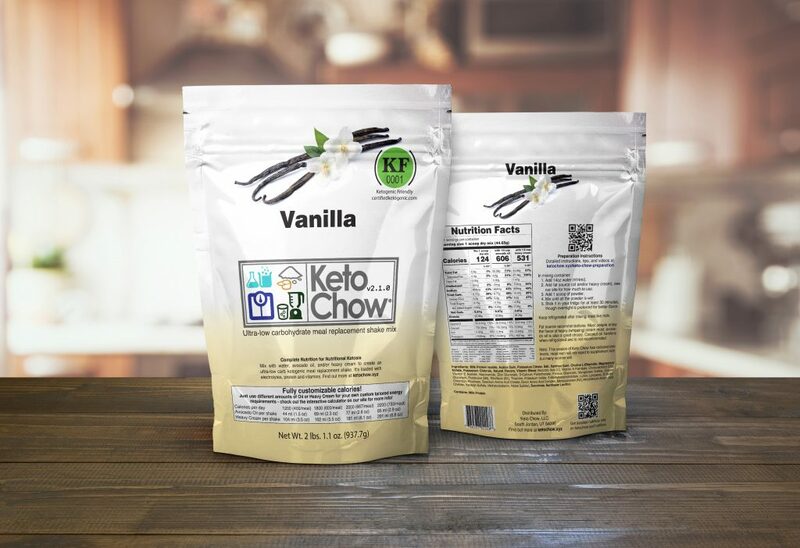 Keto Chow uses high quality bioavailable forms that you can actually use; with Magnesium Malate, 5-Methyltetrahydrofolate for people with the MTHFR gene mutation, Vitamin D3, Vitamin MK-7, Choline L-Bitartrate, and more. To give direct control to you, Keto Chow allows you to use either Heavy Whipping Cream or Avocado Oil in whichever amount suits your own personal calorie needs and goals. Mix up a dozen meals and they’re ready to grab from the fridge. I’m SO grateful that I discovered Keto Chow! And they are just down the street from my home! Drinking my Keto Chow shake is literally the best part of my day! Being on the Keto diet is hard, but these guys make it super simple! And delicious! The staff are fast and SO nice! Thank you Keto Chow! I’m a big fan. The product is delicious and was shipped with a minimum of packaging. The customer service was excellent with INSTANT answers to questions using the website chat function. I’m impressed with the product so far and I can’t recommend it enough. I bought 4 bags of the weekly sale flavor which saved a little money. I try and eat some of it everyday as every serving has a huge quantity of Potassium in it that I believe really helps me feel better. Keto chow makes a nutritionally complete meal replacement shake. With lots of flavor choices and being quick and easy to make, this is the perfect way to eat healthy, lose weight, or eat on the run. In September 2016, the business moved into a warehouse space in South Jordan, which has allowed the business to grow enough that Chris quit his full-time job in January 2018 to work on Keto Chow exclusively. Keto Chow is manufactured in Orem, Utah, at a FDA inspected, GMP approved, facility. This entry was posted in Food and tagged Keto, Keto Chow, Ketogenic, Shakes on July 23, 2018 .